Homelessness is no different in other places. There’s simply no places to go. Montreal is changing that. Since January 15 those experiencing homelessness are able to go to the former Royal Victoria Hospital — a site closed off since 2015. The former hospital became a shelter. Patient rooms in the hospital have been converted into 80-bedrooms which are open to those sleeping in the cold. The shelter was launched because other homeless shelters faced limited capacity and the struggle to accommodate those sleeping in the below-freezing temperatures. Unlike the majority of city shelters in Montreal, people will have the option of bringing their pets to this shelter. 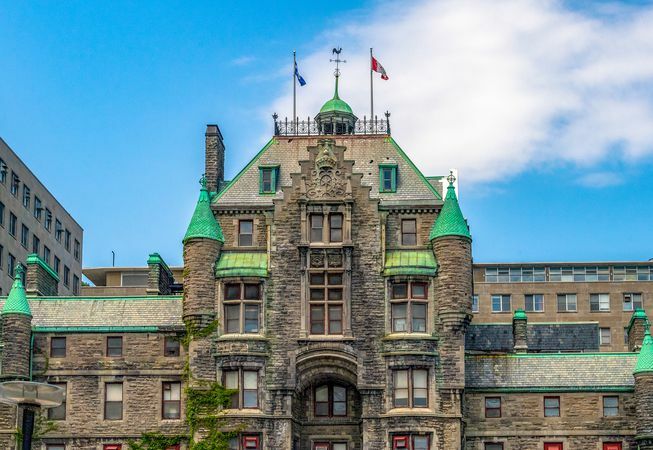 Although the shelter will only stay open until April 15, provincial legislators are working with city officials to secure more long-term solutions and permanent housing. One organization, Old Brewery Mission is also working with city officials to end the homeless dilemma. The organization will also help run the shelter. In the meantime, they continue to lobby the city to create more space. Accommodating not only people, but their pets are also another task Old Brewery Mission is working on. Overall progress is being made in helping people off the streets. “No one should be outside right now. Everyone deserves a roof,” she added. “We’re making some good progress toward eliminating homelessness in Montreal. But the reality is right now, we do need a temporary facility over the course of winter because we don’t want to leave anybody on the streets,” Sam Watts, CEO of the Welcome Hall Mission said.